Rethinking Europe’s Migrant Crisis: Weapons of Mass Movement? According to its June 25th, 2018 report, the United Nations Refugee Agency recorded the following sobering statistics. By the end of 2017, 68.5 million persons had been forcibly displaced worldwide as a result of persecution, conflict, or generalized violence, a record high and an increase of 2.9 million over 2016. Since 2007, the number of forcibly displaced people worldwide increased by over 50 per cent. Turkey hosts the largest number of refugees world-wide, with its refugee population having increased by 21 per cent to 3.5 million (overwhelmingly from the Syrian Arab Republic). Germany, has been the main European destination for asylum seekers since 2015. With a jump from 173,100 in 2014 to 441,900 in 2015, and then another giant leap to 722,400 in 2016. 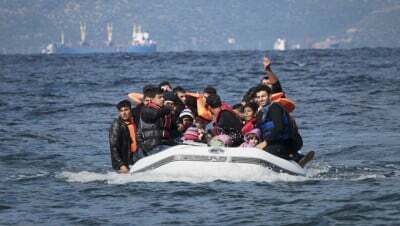 The international community has been sensitized to the plight of these migrants, particularly in the wake of shocking humanitarian tragedies of failed voyages across the Mediterranean Sea to points of harbour in Europe. The determination to provide sanctuary to such vulnerable populations is understandable, and responsible. But it is also arguably destabilizing, as host countries struggle to provide social services to those who, at least temporarily, require housing, language services, health care (including trauma treatment) and some form of basic income for populations not compliant with the skills to land lucrative employment. A backlash against these migrants is becoming apparent across Europe, and the rise of right wing anti-immigrant sentiment is manifesting in the rise of formerly marginal right wing parties. 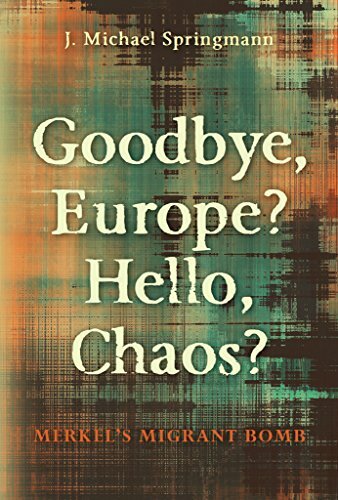 J Michael Springmann is the author of Good-Bye Europe? Hello Chaos? Merkel’s Migrant Bomb. In this book, published a year ago, Springmann postulates that the explosion of migrants over the last decade is not only a predictable consequence of America’s Global War on Terrorism (GWOT), it is also a deliberate strategy of destabilization to fulfill political and economic ends. The Global Research News Hour dedicates this program, the last of its regular season, to this alternative perspective on the Europe’s migrant and refugee challenges. In advance of our exclusive interview with Springmann, the Global Research News Hour also interviews frequent guest Barrie Zwicker, who authored a review article of Springmann’s book. Zwicker helps introduce both Springmann and the main theme of the book as he sees it. J Michael Springmann is a former U.S. State Department official having served as a diplomat in the Foreign Service with postings in Germany, India, and Saudi Arabia. He previously authored , Visas for Al Qaeda: CIA Handouts That Rocked the World: An Insider’s View recounting his experiences observing officials granting travel visas to unqualified individuals. He currently practices law in the Washington D.C. Area. Barrie Zwicker is a veteran broadcast and print journalist and media critic based in the Toronto area. He is the author of the 2006 book Towers of Deception: The Media Cover-up of 9/11. He is also the author of a 2017 review of Springmann’s latest book for Truth and Shadows.